Director Gregg Bishop's The Birds of Anger offers a Hitchcockian take on the videogame Angry Birds. Just in time for Halloween, the fine nerds over at G4TV.com have released a series of short films that transform classic videogames Mario Kart, Angry Birds and Duck Hunt into delightfully gory horror flicks. 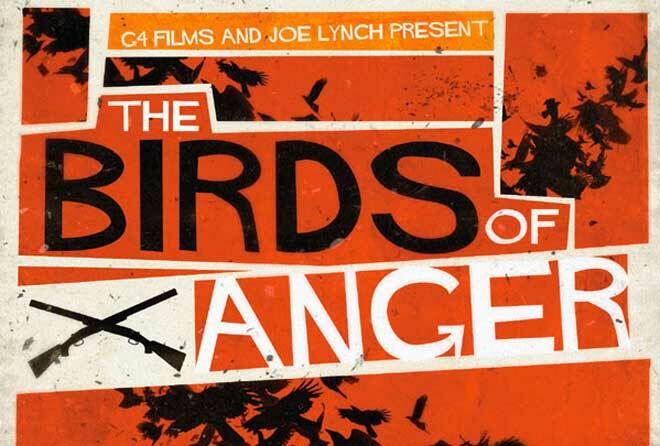 The Birds of Anger — the third and final film in the series — was posted Wednesday. A horrific take on the uncannily popular game Angry Birds, the short is a nerdy reinterpretation of Alfred Hitchcock’s The Birds, directed by Dance of the Dead mastermind Gregg Bishop. The other two shorts, which are part of G4’s Epictober Film Festival, are a gritty take on the world of the Mario Brothers called Kart Driver (kind of like Bellflower, only funnier) and a gruesome reimagining of Duck Hunt, where the dog truly gets the last laugh. The shorts (below) were produced by Joe Lynch, director of the upcoming LARPer horror-comedy Knights of Badassdom and former creative director at G4TV.com. Lynch picked the directors for the shorts, which the site began posting Monday. Watch the films below and let us know in the comments which one you think is the most creative videogame horrification. Synopsis: “The Bacons are visited by their next-door neighbor, Anne, who has brought them a lovely basket of eggs, but unfortunately, the birds want their eggs back.” Directed by Gregg Bishop. Synopsis: “Fury and obsession leads a heroic plumber to seek out and bring home his damsel in distress, even if it means facing off with a creature from the very bowels of hell.” Directed by Drew Daywalt. Synopsis: “Far from help and home, three hunters come face to face with a monstrous entity keen on their demise.” Directed by Sam Balcomb.